ProMedica, a not-for-profit, mission-based health and well-being organization, this week welcomed Les Thompson as the new chief human resources officer. Thompson has more than 20 years of professional experience in human resources, operations, and mergers and acquisitions strategy and execution, along with international experience, including living and working in Shanghai, China. 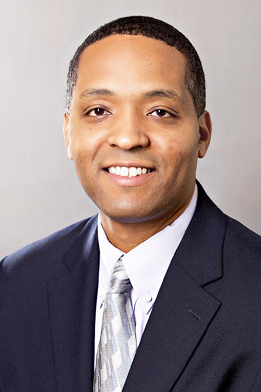 Most recently, he served as vice president, Human Resources at Grainger, a Fortune 500 distributor of maintenance, repair and operating (MRO) supplies, headquartered in Lake Forest, Illinois, with global operations and customers. Prior to his role at Grainger, his career included a variety of progressive human resources leadership roles at Owens Corning in Toledo, Ohio. As chief human resources officer at ProMedica, Thompson will serve as a vital resource and strategic business partner to leadership on matters related to culture, workplace environment, diversity and inclusion, strategic human capital decision-making, organizational effectiveness, succession planning, and the installation of human resources practices, structures, and programs that enable peak individual and organizational performance. Thompson also will have accountability for all human resource management functions, including talent acquisition, employee and labor relations, organizational and leadership development, recognition and rewards, compensation, human resources information systems, benefits and pension administration, workforce planning, and diversity and inclusion. "After an extensive and thoughtful executive search, we are pleased to welcome Les to the ProMedica leadership team," said Karen Strauss, chief administrative officer at ProMedica. "With a strong track record of executive human resources successes, Les has the expertise necessary to evolve our talent and culture strategy and to help to ensure that ProMedica remains a top workplace of choice." ProMedica is a mission-based, not-for-profit integrated healthcare organization headquartered in Toledo, Ohio. It serves communities in 28 states. The organization offers acute and ambulatory care, an insurance company with a dental plan, and post-acute and academic business lines. The organization has more than 56,000 employees, 13 hospitals, 2,100+ physicians and advanced practice providers with privileges, 900+ healthcare providers employed by ProMedica Physicians, a health plan, and nearly 400 assisted living facilities, skilled nursing and rehabilitation centers, memory care communities, outpatient rehabilitation clinics, and hospice and home health care agencies. Driven by its Mission to improve your health and well-being, ProMedica has been nationally recognized for its advocacy programs and efforts to address social determinants of health.